Hello, fabulouses and welcome back to Beauty Tues.
Drip Drop Nail Paint creates handmade nail lacquer that is not only three-free, but also cruelty-free. A cutesy BONUS is that each nail color has a cute name like “Yoga Pants” and “Vintage Jumpsuit”–How precious is that?! I am totally in love with Santa’s Pajamas–it really got me in the Christmas spirit! 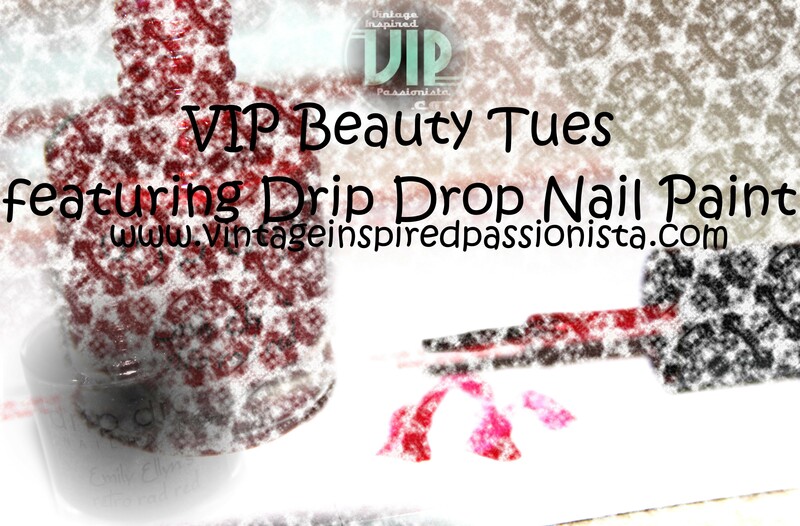 So, how did I find out about this awesomeness called Drip Drop Nail Paint? Good question! Plaid blanket scarf by Forgotten Cotton. 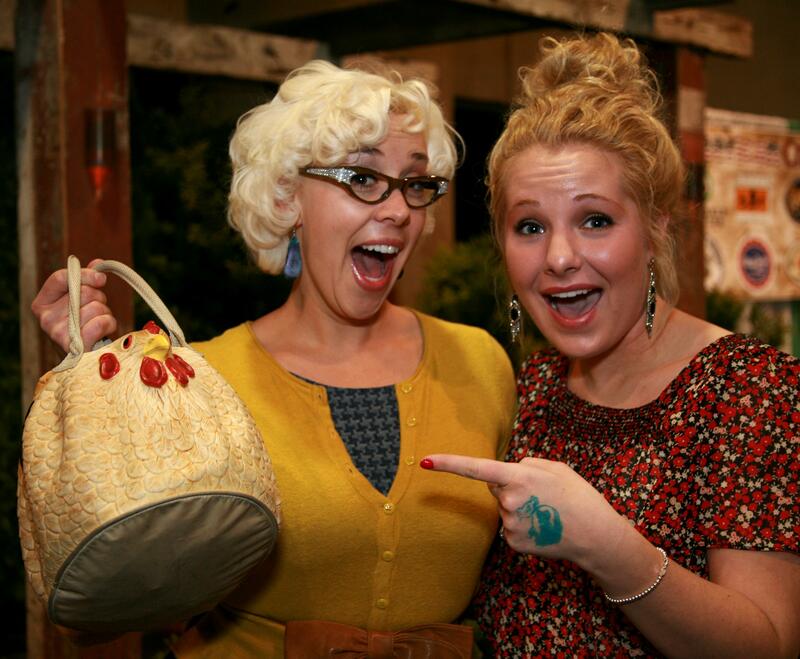 Stay tuned for an upcoming outfit blog with this fabulous handmade piece! 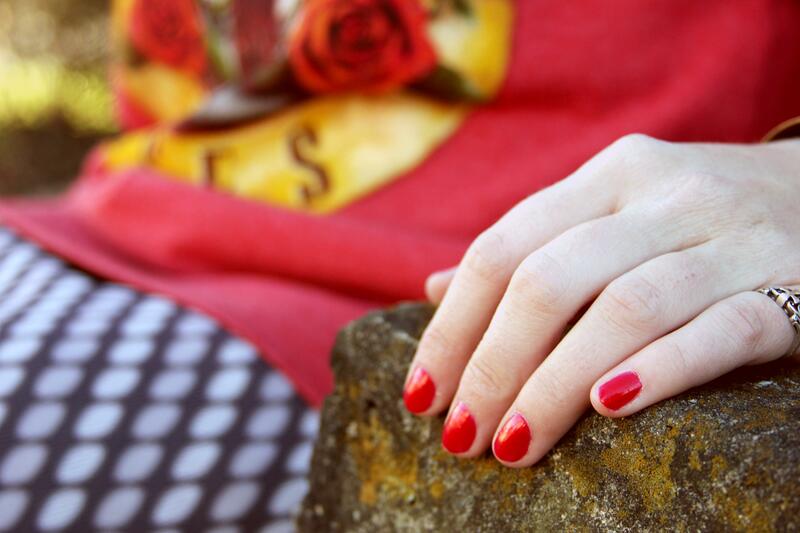 The VIP sporting Retro Rad Red nail color by Drip Drop. 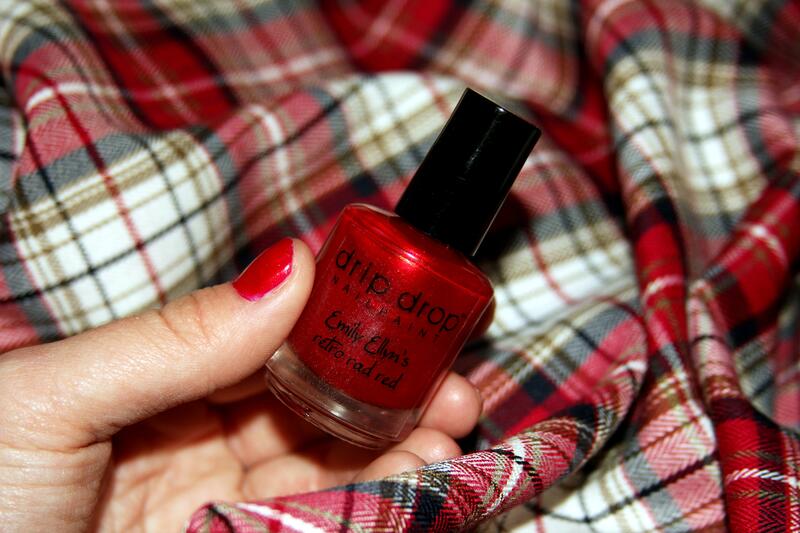 I have tried A LOT of red nail polishes in my life, and Drip Drop’s Retro Rad Red is by far one of the best! 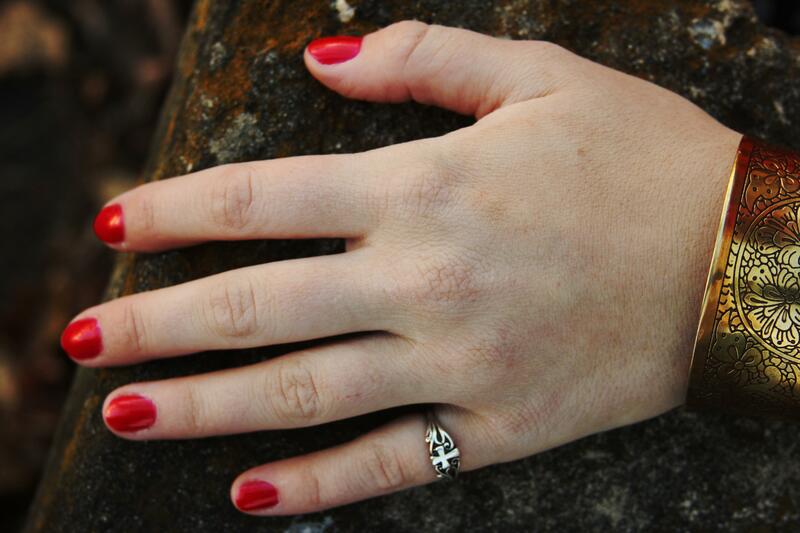 It glides on smoothly + the color consistency is so fabulous I can get away with one coat. I give this product FIVE VIP BEAUTY STARS. The nail color and the scarf are delish! ← VIP Home: Why Blog About Home?